There are no universal definitions for the terms “telehealth” and “telemedicine,” which makes it impossible to differentiate them entirely from one another. Both terms are a modern concoction based on the evolution of developing technology. But while the line remains blurred regarding what each term covers, a few organizations have weighed in on the subject. 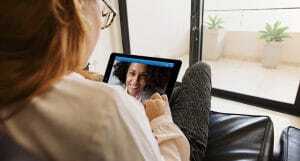 The U.S. Department of Health and Human Services (HRSA) identifies telehealth’s definition as broader in scope than that of telemedicine, covering remote healthcare services that are both clinical and non-clinical. The term “telemedicine,” on the other hand, refers solely to remote clinical services. 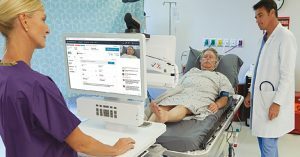 Subsequently, the American Telemedicine Association (ATA) uses the two terms interchangeably, both encompassing a wide definition of remote healthcare. 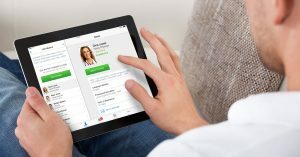 The World Health Organization (WHO) recognizes its own distinction between telehealth and telemedicine, where telehealth uses computer-assisted telecommunications to support management, surveillance, literature and access to medical knowledge, while telemedicine uses telecommunications solely to diagnose and treat patients. WHO based their own definition of what telemedicine entails off a study they conducted of 104 peer-reviewed definitions of the term. Can you think of another word with 104 unique definitions? But the good news is the evolution of technology and care delivery is causing the industry to outgrow all artificial definitions of the two terms. In fact, telehealth and telemedicine are actually converging as the industry matures. At American Well, our solution uses technology to solve care delivery challenges, which is why we see no distinction between telehealth and telemedicine. When it comes to population health management, how can you draw a distinction between whether monitoring someone’s vitals is clinical or non-clinical? It isn’t necessarily diagnosing or treating a patient, but it is managing a patient’s health. These types of evolving circumstances are what are advancing the industry, while simultaneously doing away with broad, ambiguous definitions. Whether you call it “telehealth” or “telemedicine,” there is no denying that the technology being used is revolutionizing the healthcare industry by connecting patients with physicians, no matter the time or location. If this is being done correctly and safely, it shouldn’t matter what term a situation is filed under. In reality, we are approaching a point within the industry where we should settle on one term and one definition for what we are currently doing—which is providing patients with access to care wherever they are.